Once upon a time, five women in Los Angeles had a plan: to create an awesome Zine Fest for Los Angeles where zinesters could come from far and wide (or from North Hollywood) to share their work with each other and with the uninitiated but interested. Alas, they had no money. And so Kickstarter was born! Help us pay for venue-required security guards, printing posters, buying t-shirts, having Hit + Run do live silkscreening, bringing V. Vale all the way from San Francisco to be interviewed by Henry Rollins, paying for pre-events, and having an overall amazing Fest. You will be rewarded! 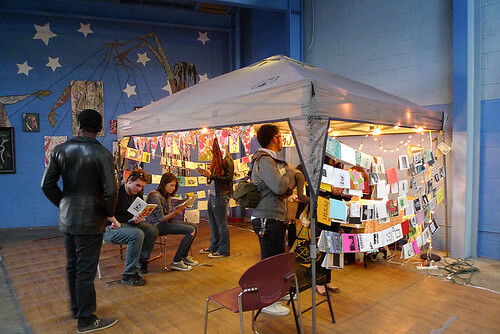 LA Zine Fest needs chairs and booze, please donate what you can.